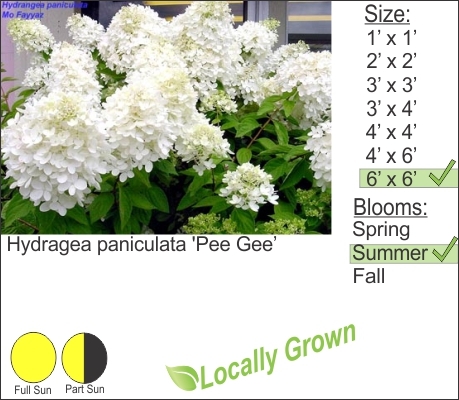 An old time favorite, Pee Gee Hydrangea is known for big beautiful displays of snow white flowers. Give this shrub a little bit of room in your landscape and it will not disappoint. Plant if full sun for prolific blooms.